Grime, crime and the unstable economy are some of the driving factors behind Maritzburgers selling off their properties to live overseas. According to a survey by First National Bank’s property unit, the selling of property in South Africa for the reason of emigrating has increased substantially in recent years. FNB property sector strategist, John Loos, said emigration home selling had risen from two percent in 2013 to 10% at the end of 2018. Loos said although real estate agents don’t ask motives for selling, the reasons were “fairly obvious to deduce”. “It’s the poor performing economy and there is a lot of uncertainty over future policy and the economic future of South Africa given a lack of policy direction. Many people are perceiving better opportunities elsewhere,” he said. The outlook for Pietermaritzburg is the same. 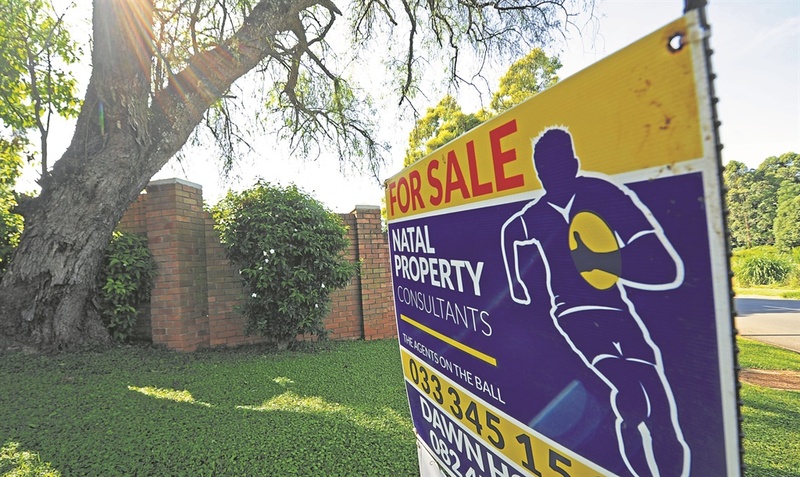 Bruce Campbell of Natal Property Consultants said they had also seen a surge in selling of property because of emigration in Pietermaritzburg in the last six months. “People are fed up,” he said. “On top of the list is the non-service delivery of Msunduzi Municipality,” he said. Campbell said he had recently sold a house in Hayfields where the owner was emigrating to another country in Africa. Campbell said a lot of sellers who were leaving had mentioned the “worsening state” of Pietermaritzburg and a lack of “political will”. “A lot of people are leaving Pietermaritzburg to go overseas or to other places within the country,” he said. Pietermaritzburg estate agent Alan Martin also reiterated that people had become frustrated with service delivery. Martin said he has also had a few clients relocating their businesses. “The problem is there is not a lot of business coming into Pietermaritzburg and it’s impacting the property market,” Martin said. Munyaradzi Nkomo, the managing director of Strategies Migration Services South Africa, told Weekend Witness his firm has noticed an uptake in emigration inquiries since the middle of last year. The country’s subsequent ratings downgrade paired with the economic implications and former president Jacob Zuma’s policy changes had spurred emigration interests. “When things got a bit shaky in South Africa, we noticed an increase in inquiries. People wanted to know what their options were,” said Nkomo. Reports that large numbers of white South Africans were looking to leave the country because of farm murders and the land expropriation issue were an exaggeration, Nkomo said. A Pietermaritzburg resident, who asked to remain unnamed, said he was considering emigrating to Canada. “My wife and I are looking to start a family and the outlook on security and growth in this country is bleak,” the resident said. He said he was looking at Canada because of its “good attributes and overall diversity”. “The cost of living, food, electricity [and] water has increased. Although we are hard working professionals we are not living as comfortably as it should be,” the resident said. It’s expected that the number of South Africans leaving the country this year will rise sharply as politics, crime and job security are cited as reasons to go. City Press reported recently that although neither the Department of Home Affairs nor the International Relations Department keeps figures on how many people are leaving the country for good, anecdotal evidence suggests a sharp rise in emigration among South Africans seeking new lives abroad as they become increasingly fearful of the current economic and political situation. Experts predicted that last year would prove to be a record year for emigration after a spike in 2015, when more than 25 000 citizens moved abroad. The UK’s Office for National Statistics told City Press that, in 2017, an estimated 7 300 people emigrated from South Africa to the UK. Ryan Rennison, managing director of UK visa solutions firm Move Up, said the company had seen a 22% hike in inquiries to leave in the past two years because of political uncertainty and economic decline. “There is a percentage of migrations motivated by concerns of financial and educational stability. Few cases are motivated by concerns of security alone,” Rennison told City Press. The most recent figures on emigration come from Stats SA’s Community Survey 2016, a large-scale survey conducted between censuses. The survey showed that 97 460 South Africans had moved abroad since 2006. The bulk of them were between the ages of 25 and 44. Of the almost 100 000 émigrés, 12,5% had moved to Australia, 12% to the UK, 6,5% to the U.S. and 4,6% to New Zealand. The trend is set to continue this year. Moira Luyckx, marketing manager for international removals company Elliott Mobility, said they had dealt with 2 500 moves abroad last year, “and we are expecting an approximately 20% increase”. Among the most popular destinations, she said, were New Zealand, Canada, Australia, the UK, the U.S., France, Germany, Mauritius and Panama. “People are emigrating for job and family prospects. There are also some who are relocated by local and global corporations for their specific skills,” she said. Stuttaford Van Lines’ marketing manager, Rocco Olivier, said the firm was also expecting more clients this year. “We deal with thousands of families a year, with an average increase of 15% year on year,” he said, adding that his clients — “a true mixture of all ages and races” — move for various reasons, including financial, political or family reasons. Others, he said, were transferred abroad within multinational companies. Many, he added, were qualified and skilled workers. The most popular destinations his clients emigrate to are the UK, Australia and New Zealand. Others move to the U.S., Canada, Asia, the rest of Africa and parts of the Middle East. This, says the Homecoming Revolution — a Pan-African company that encourages Africans to return home — is not good news. “We exist to bring Africa’s skills back. For every one skilled African who returns home, they have a ripple effect of directly creating 12 new jobs in the formal and informal sectors,” said managing director Faye Tessendorf. She said there was a trend for predominantly white South Africans to leave because they had access to dual nationality and ancestral passports because of where their families came from. “What drives talent out of the country is political violence, a rapid increase in crime and uncertainty in the economy,” she said. Home Affairs spokesperson David Hlabane referred inquiries to the Department of International Relations and Co-operation as it “has a voluntary online programme through which people going abroad may register called Register South Africans Abroad”. Department spokesperson Ndivhuwo Mabaya said: “The only way government knows that you are out of the country is when you stamp your passport at the airport or any border.